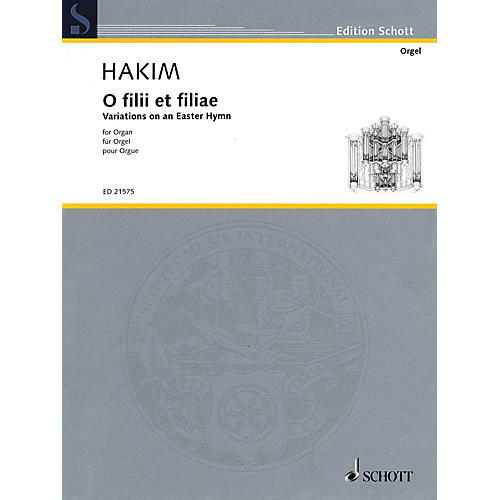 The renowned French organ composer Naji Hakim, successor to Messiaen at the church St. Trinité, wrote this short variation cycle in 2012. Due to its theme, the Gregorian Easter hymn 'O filii et filiae', the work can be performed in concerts and services especiallyat Easter time. Four short variations examine the cantus firmus with different stylistic, contrapuntal and harmonic means.